My Home Life | Managers share ideas for Care Home Open Day! Managers share ideas for Care Home Open Day! If you haven’t had a chance to think about Care Home Open Day (Friday 19th June) yet, some managers from across the country have shared their ideas (little and large) for great things to do on the day. If you have time before the event, what about getting residents and staff to make some decorations together? A lovely idea is to take photos of residents, relatives and staff, print them out and make paper bunting out of them! Get the word out to your relatives and local neighbours about what you’ve got planned – the more the merrier! Don’t forget to register on nationalcarehomeopenday.org.uk so members of the public can see you’re doing something. These ideas were contributed by Maggie Candy from Marlborough Court in Thamesmead, Sean McCloskey from The Tudors Care Home in Peterborough and Lesley Ship from Alpine Residential Care Home in Sevenoaks – thank you all for sharing! 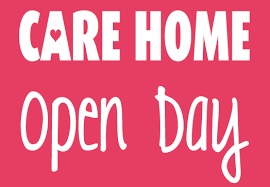 Share what you’re up to for this year’s Open Day in the comments below.